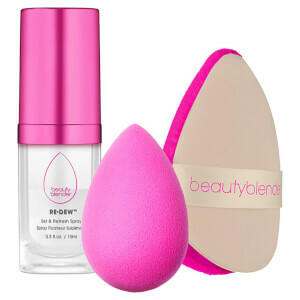 Adored by influencers, celebrities and beauty fans alike, the Beautyblender range at Skinstore provides you with the perfect tools to give you a flawless look every time. With a unique design, this soft and versatile beauty sponge can adapt to the unique contours of your face, ensuring a full and even coverage with your favorite foundations and base products. 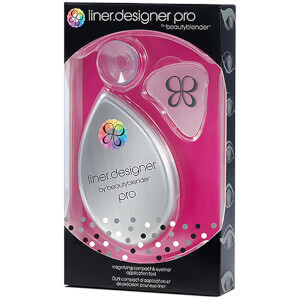 Created by beauty industry insiders and now available for beauty fans everywhere, this innovation in makeup and cosmetics aids you in creating makeup artist results for yourself each day. 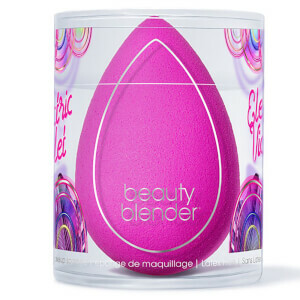 Not only does the Beautyblender range provide you with the original makeup sponge, but there is also a range of complimenting products and tools to enhance your cosmetic application even further. 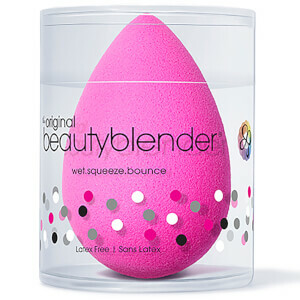 To maintain the quality and longevity of your Beautyblender, alongside ensuring that it is hygienic to use every day, it is important to cleanse your sponge regularly. 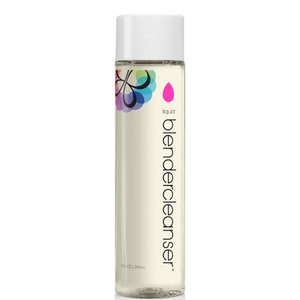 The Beautyblender Liquid Blender Cleanser is a light, soy-based formula that breaks down product on your sponge effortlessly. Work a dime-sized amount of this coconut, dead sea salts and lavender liquid in to your sponge to gently remove dirt and grime without negotiating the quality of your Beautyblender. 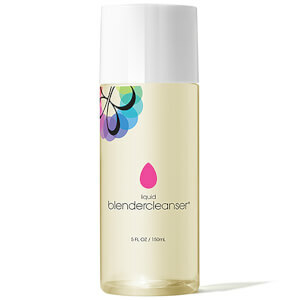 Lather, rinse and repeat until you are satisfied with the cleanliness of your sponge. 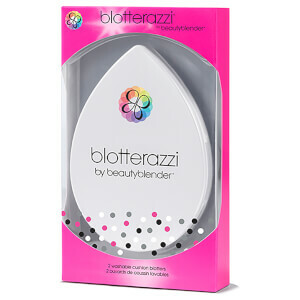 If you require additional mattifying to complete your look and take away any oily areas, the Beautyblender Blotterazzi is the perfect addition to your beauty kit. Shaped for precise blotting on areas where you most need it, the Blotterazzi is a more versatile alternative to traditional blotting papers. 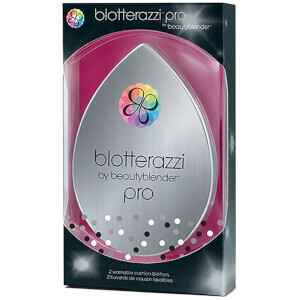 Retaining your skin’s perfect finish, after using your Beautyblender to apply your make up, the Blotterazzi removes excess oil without disturbing your finished look. 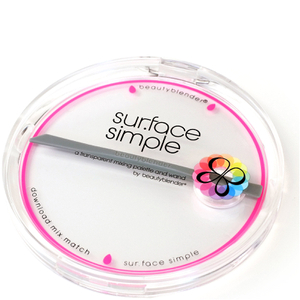 Presented in a custom case to protect the sponge when not in use, it is perfect for popping in to your purse for touch ups on the go. 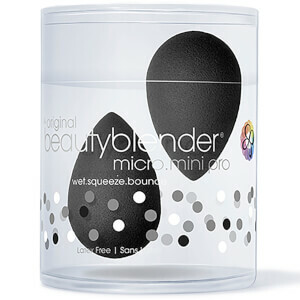 For more precise application for targeted coverage and concerns, take a look at the Beautyblender Micro Blenders. 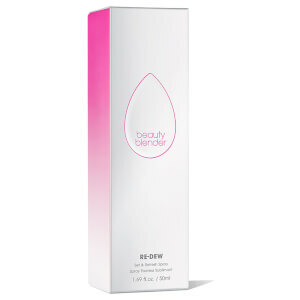 Blend your concealer, add a touch of highlight or apply eye creams effortlessly with this smaller sized sponge. 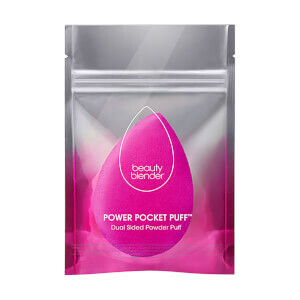 With the same high quality material as the original full sized applicator, the micro blenders can ensure that you feel confident with your look, by assisting you in blending product in flawlessly. By using your micro-sized sponges in targeted areas you can also ensure that you don’t needlessly waste any product by over applying in places you don’t need it. 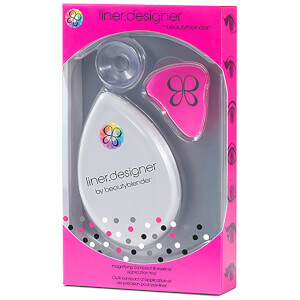 Available in a range of colours, sizes and shapes, add the Beautyblender to you cosmetic kit and enjoy a beautiful finish each time.